Last Friday night some friends and I were walking back from dinner on East 4th street when we walked by this gem parked nearby. I thought I’d look up some facts and share them. This model was released in 2011 and ended its production in April 2014. The model pictured is a 2-door coupe though it comes in spider (convertible) variety as well. It’s powered by a mid-mounted McLaren M838T 3.8L, twin-turbo V8. This produces 592 hp and 443 lb-ft of torque which is delivered to the rear-wheels. Other notable pieces of hardware include its 7-speed dual clutch transmission and carbon fiber composite chassis. This is a very serious supercar. It’ll go from 0-60 mph in 3.2 seconds and onto a top speed of around 210 mph. And what does it cost? A whopping $231,000 for the base version without any extras. 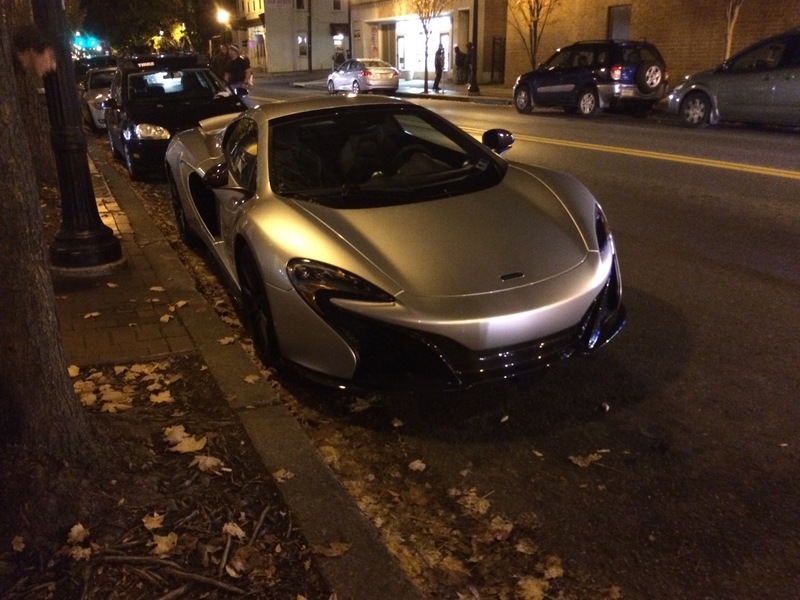 Yep, that car with a few extras costs more than all four years of tuition to come to Lehigh. I just can’t help but marvel at it.